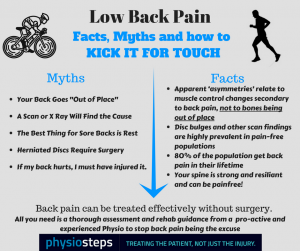 Sciatica is a very common complaint but few people actually know what causes it, and what can be done to help it – even in those that have it. Today’s post is to help clear that up. 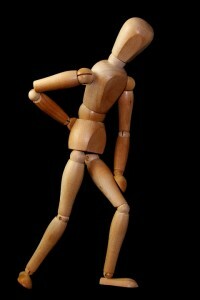 Sciatica is referred pain from compression or irritation of the sciatic nerve somewhere along its path. Irritation, inflammation or direct compression to the sciatic nerve sends confuses the brain and causes this referred pain and sometimes change in sensation and pins and needles. The pain can be felt anywhere from your backside to your heel and foot – anywhere along the path of the nerve. But other issues in the hip can also mimic sciatic pain but don’t often refer below the knee – so important to get a diagnosis. Most cases resolve without the need for surgery and surgery should be the last resort, unless there is a serious neural compromise. Treatment revolves around easing pain and secondary symptoms, caused by the underlying issue. 3. Rehab exercises: This is the most important. The right exercises will not only help address the underlying cause once diagnosed but also ensure muscle activation and strength is regained to lessen the chance of recurrence. 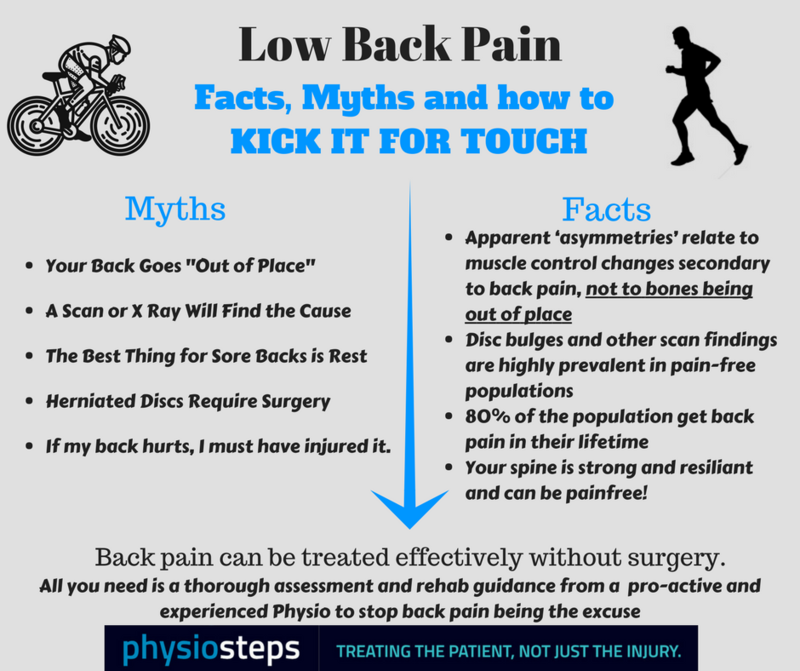 So don’t put up with back pain or sciatica. Book in with a health professional and get a thorough assessment so that you know what is going on and what is going to help it get better.